Should Women Apply for the SBA 8a Certification? - SBC Consultants Inc.
Should Women Apply for the SBA 8a Certification? We receive a lot of calls weekly from Women Owned Businesses if they should apply for the SBA 8a Certification. Our answers to their questions are listed below. First you need to identify if working with the Government is something you are willing to do and be active at. Obtaining the certification will not bring in business. Marketing your company to Federal Agencies and prime contractors will. The 8a Federal Contracting program is designed to help minority owned business compete more fairly in the open market against larger firms. Caucasian males and Women are not considered to be minorities, but there are plenty of Caucasians approved in the program, If you are non-minority women owned small business, there are a few questions you need to be able to answer and prove to the SBA in order to qualify aside from the basic qualifications which was mentioned in one of our previous posts. The SBA requires that you identify specific areas in which you were held back due to your gender and the reasons for being successful in the program,beginning in your schooling days up until today. Another important fact to remember is that the SBA does have a program for just women. The Women Owned Small Business or WOSB is a certification reserved for just Women Owned firms. So the next obvious question is, why do you need to be certified as 8a as well? There are the obvious reasons such as more set-aside funding, but there also needs to be an explanation why the 8a program will help you further grow your business. 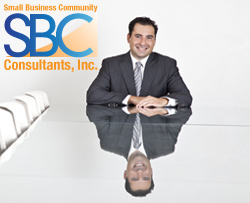 Please visit our website at www.sbclending.com/ to learn more about our programs and services. The SBA's Narrative Statement of Social Disadvantage.